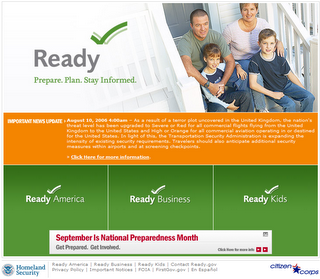 You've probably heard of ready.gov, a site created by the U.S. Department of Homeland Security as a guide for emergency preparedness. 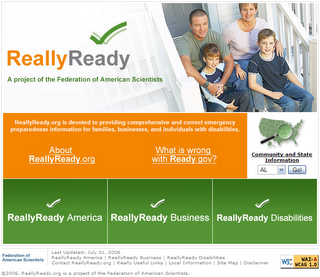 The Federation of American Scientists don't think much of it, and had a summer intern make a parody/critique of it called reallyready.org. ReallyReady.org's detailed critique of Ready.gov.